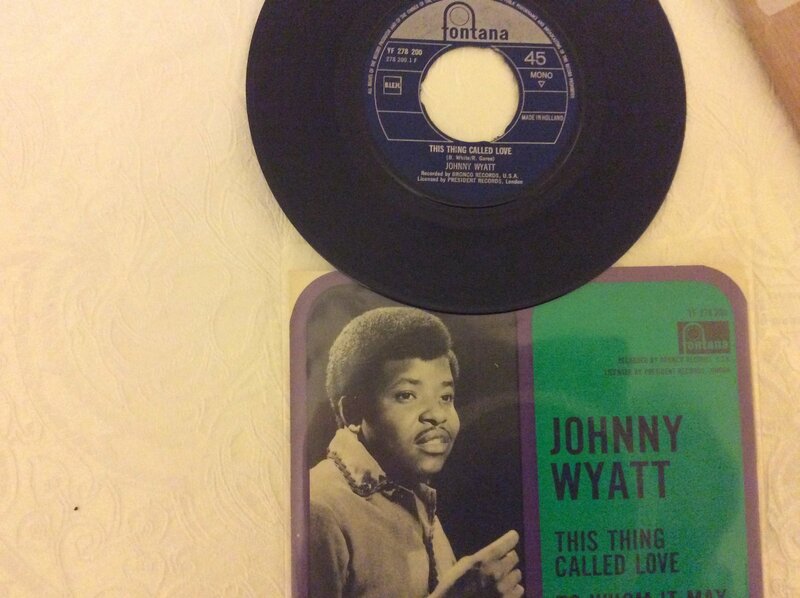 JOHNNY WYATT . THIS THING CALLED LOVE DUTCH. FONTANA. Very Rare Dutch Picture Sleeve Dutch Fontana. E, Sadly middle has been pushed out plays fantastic brilliant oldie !!! !